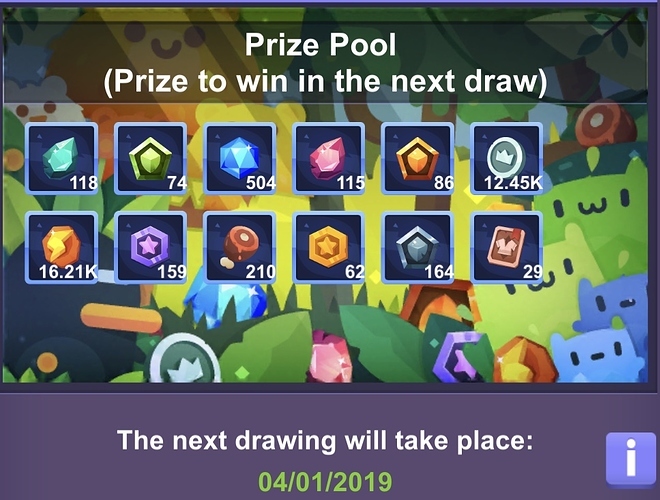 The developers have changed the lottery odds. This post has been changed to reflect it. 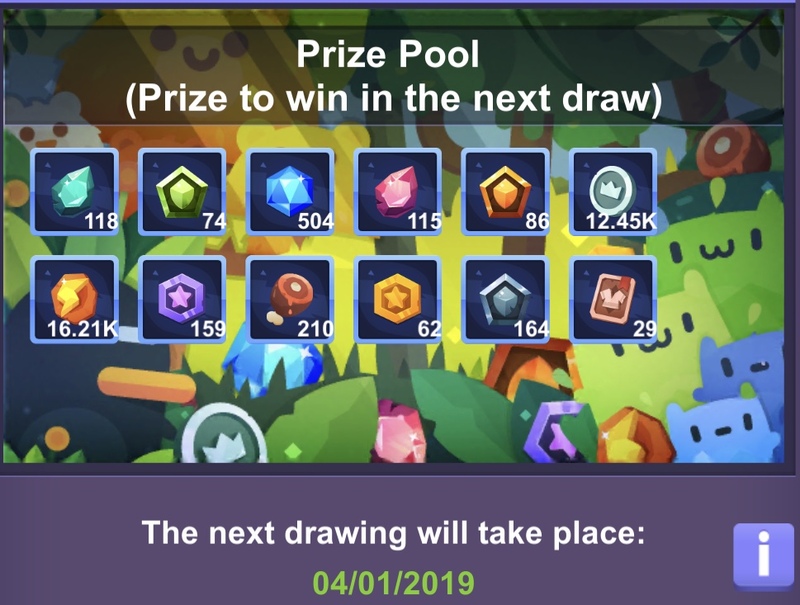 There are 4 random plants on each lottery ticket. I now see 5 different types of plants (used to be 6). There appear to be 625 combinations. 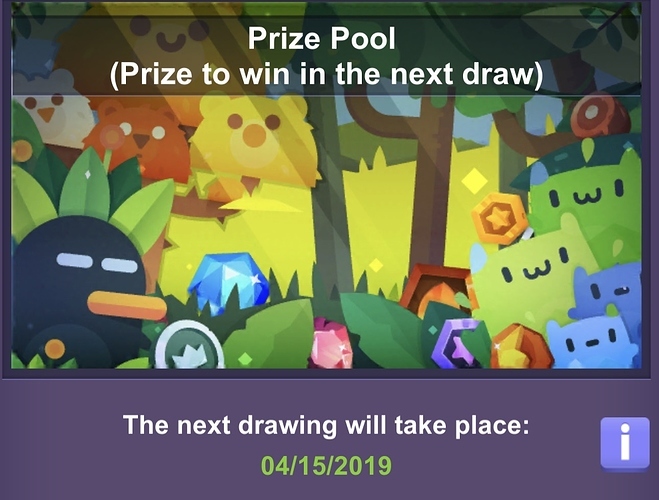 There is most likely a 1 in 625 chance of winning, per ticket. That’s not the main reason to buy lottery tickets though, at least for me. The best reason to buy is that it helps my guild grow. The bigger the guild, the better the daily check-in rewards for everyone in the guild. A basic check-in gives 10 points to grow the guild. A super check-in doubles it to 20. Each lottery ticket boosts it another 4. We can buy up to 10 lottery tickets if we walk 20,000 steps. Therefore, the most support one can offer a guild is a super check-in with 10 lottery ticket purchases. That would provide a whopping 60 points, or 6 times the growth of a basic check-in. From my experience, the average contributing player offers about 14 points of support. Most offer the minimum of 10 for a basic check-in, but some use the super check-in and/or buy lottery tickets to bring the average up. For my guild, super check-ins are great, but even a daily basic check-in with one lottery ticket purchase is pretty good. It’s 40% faster growth than a basic check-in alone (14 vs. 10). And lastly, take a look at the prizes. They grow over time if nobody wins. Maybe when they grow enough, it might even be worth it to take the gamble? Even if you are understandably super frugal with your crystals? Maybe. 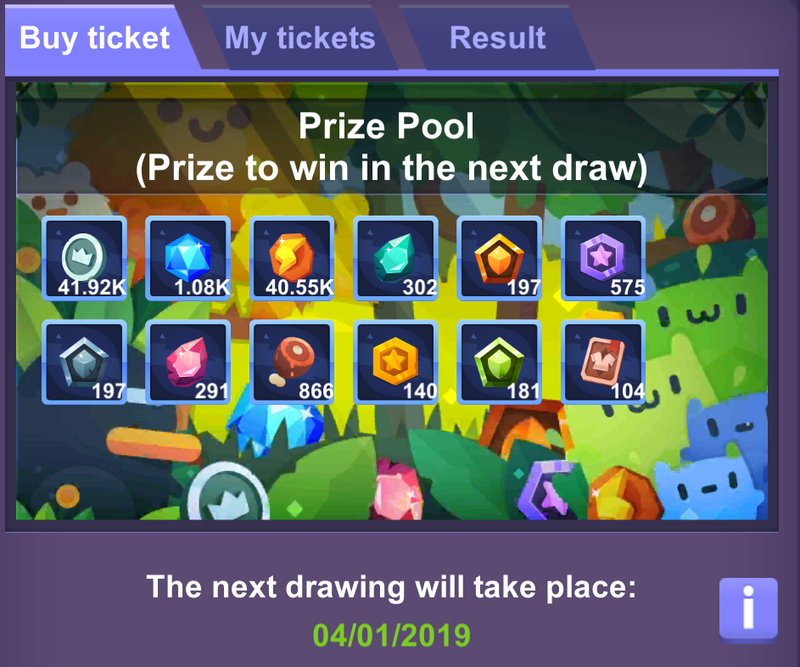 This is the current Lottery Pot in Dragonkin on server 4. I hope that It will be mine!! i see your Dragonkin pool and raise you a Lost Soles pool. Okay, okay. I must admit that your pool is much bigger. The good news is that someone won the lottery and that someone was me! Was wondering who got it. Congrats!